Happy New Year from Simple Flying! We love Qatar’s Qsuite product. It is one of the best business class products flying today. 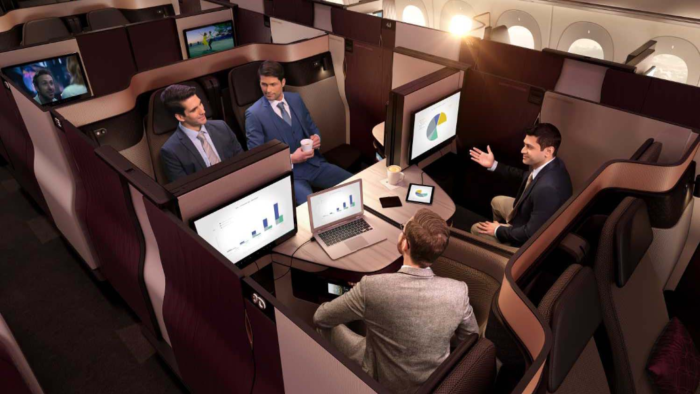 Best of all, Qatar will be flying Qsuite planes to multiple US cities in 2019. Let’s take a look! Qatar Qsuites in the center seats can become a double bed! Qatar launched the Qsuites in 2017 with much fanfare. It was hailed as their greatest business class product and remains one of the best business class experiences in the sky. As you can see, on the 777-300ERs, the suites alternate between forward and rear facing and offer a lot of privacy. Qsuites also include a new feature called the quad. This was a space that could transform into an impromptu gathering area for four passengers. Doha-Washington Dulles: Qatar flies a 777-300ER on this daily route. Be sure to double check your aircraft before booking. If you are ever in doubt, you can always check the seat map through a third-party website or through Qatar Airways themselves. Three more U.S. routes are slated to receive Qsuite service in early 2019. Doha-Dallas/Forth Worth: Starting on January 16, Qatar will operate a daily 777-300ER with Qsuites before switching to an A350-1000 on July 1, 2019. Doha-Los Angeles (LAX): Qatar will be flying a 777-200LR equipped with Qsuites from February 2nd. Doha-Boston (BOS): Qatar will be flying a Qsuite-equipped 777-300ER from March 31st. 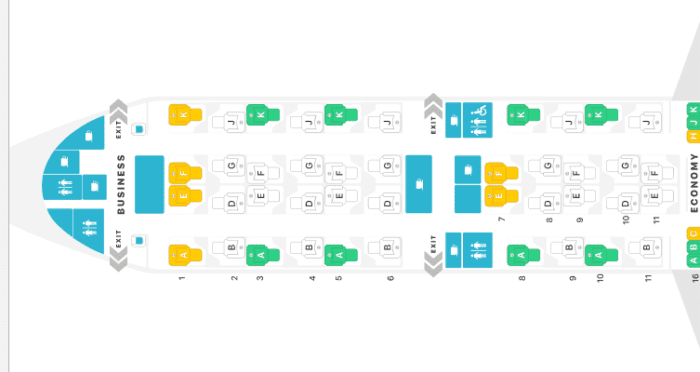 With the launch of new Qsuite services, three routes to the US will remain without Qsuites. Those routes are: Atlanta, Miami, and Philadelphia. The good news for those routes is that Qatar flies an A350-900 on each of the routes with a reverse herringbone business class configuration. Now that you know which routes are operated with Qsuites, it is time to know how to get on flights with the Qsuite. You can find a more in-depth approach to flying Qsuites with points and miles here. For now, you can still book Qsuites with AAdvantage miles from American Airlines. The rates are very attractive for Qsuites! If you are paying with cash, one-way and roundtrip prices are steep. At the lowest, you can expect to pay a little over $6,000 for a one-way ticket. Ultimately, flying on Qsuites is an incredible experience. But the luxury comes at a steep cash price. Your best bet is to redeem miles through a Qatar Airways partner. If you are short on miles, take a look at any travel credit cards that may come with attractive sign-up bonuses you can transfer. Do you want to fly on Qatar’s Qsuites? Remember, you can tell us your travel rewards goals and we can help make that happen! Are you going to fly on Qsuites? Have you flown on Qsuites? Let us know in the comments below! We are flying to Doha, in Business Class, from Atlanta, in third week of Jan 2019. Can we ask for free Limousine pick up form our home to Atlanta airport?